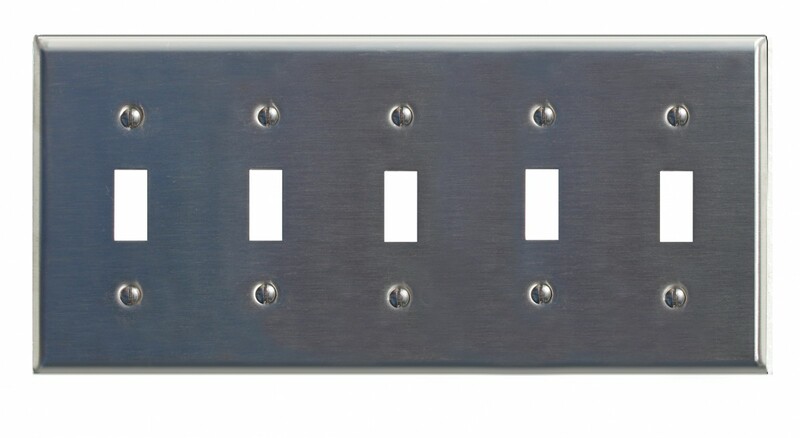 Five (5) toggle, five (5) gang switch plate. It only takes a moment to reinvigorate a room with these Brushed stainless steel wallplates. 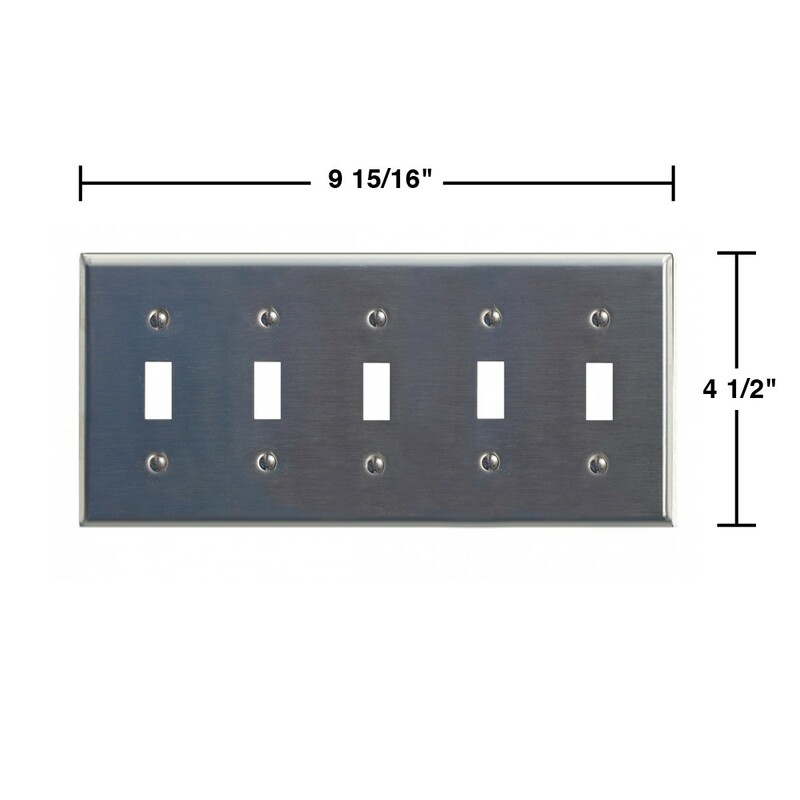 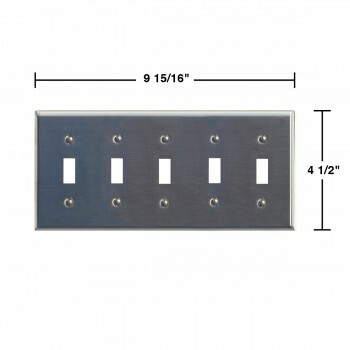 Mounting screws included with your switchplate purchase.